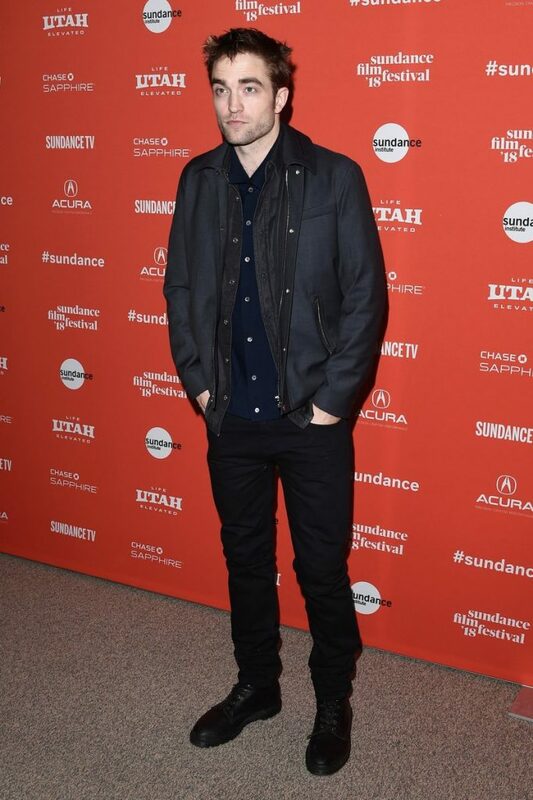 John Legend In Gucci @ Stella Artois and Deadline Q&A – Sundance Film Festival. 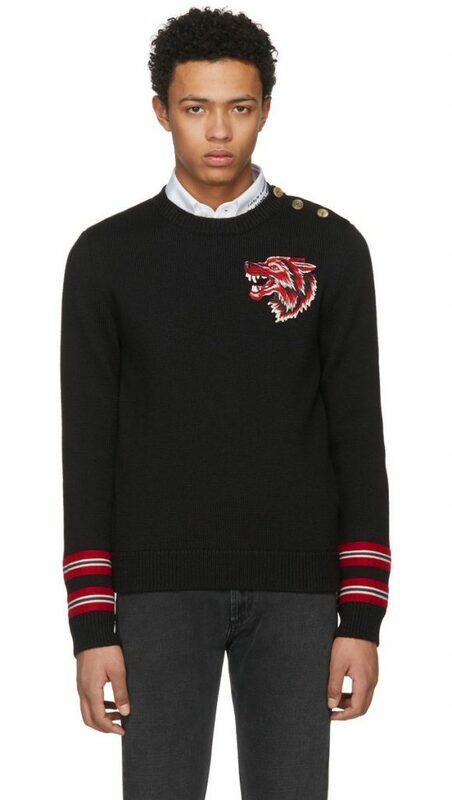 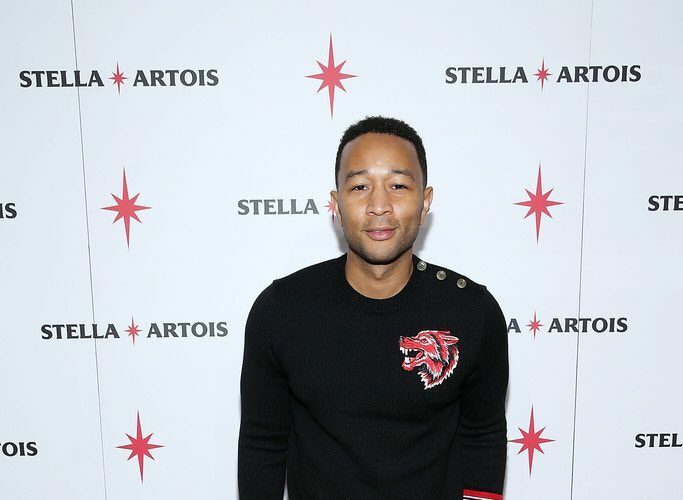 John Legend wore a Gucci black wool knit sweater with wolf appliqué and button detail for a live Q&A hosted by Stella Artois and Deadline during the 2018 Sundance Film Festival. 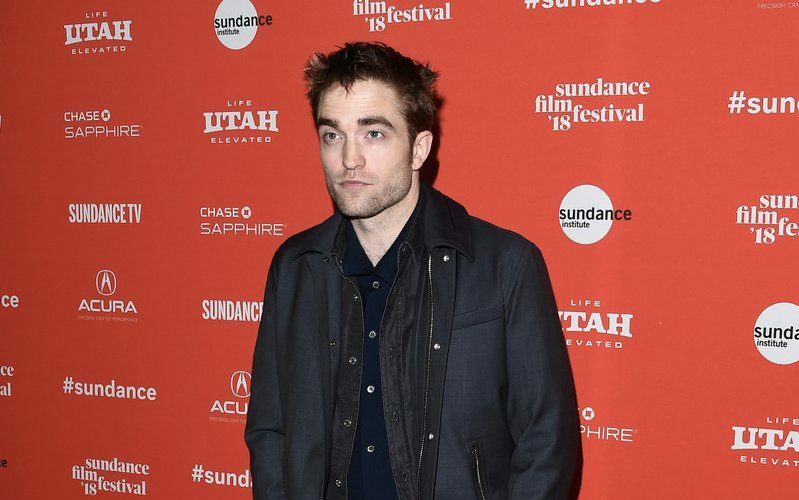 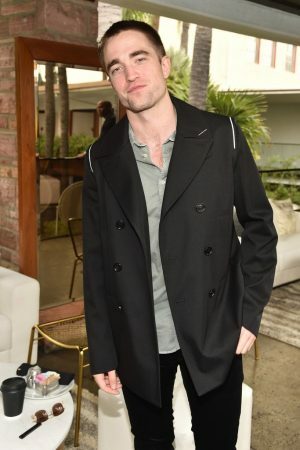 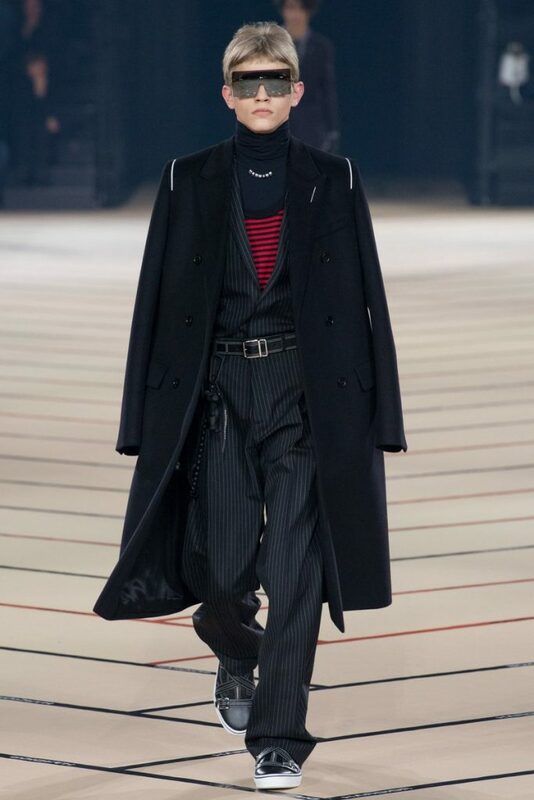 Robert Pattinson wore a Dior Homme Fall 2017 double-breasted jacket to the “Indie Contenders Roundtable” event during the AFIFEST 2017. 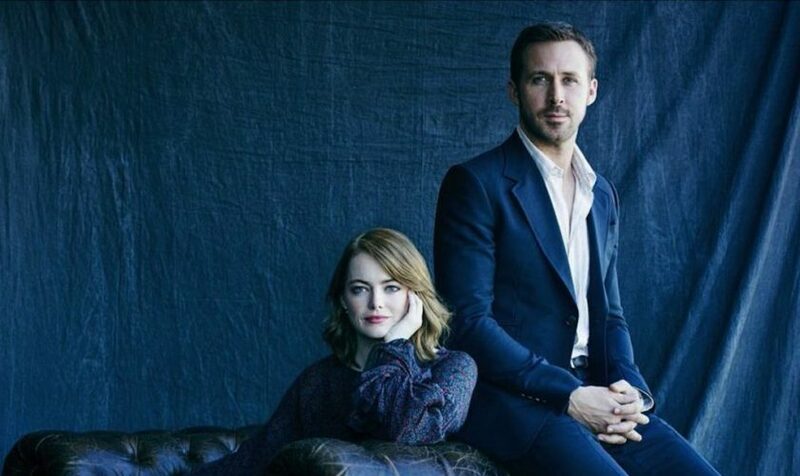 Ryan Gosling wore a midnight blue Gucci Heritage suit + striped dress shirt at La La Land press during Toronto International Film Festival 2016.